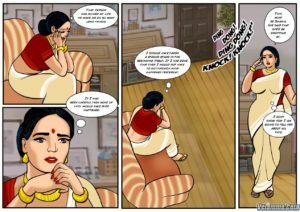 Velamma had had enough of the blackmailer and wants to put an end to the lewd things he makes her do. She confides in Shazia, her friend in the law enforcement and together they form a plan to nab him. But things don’t go as planned and Velamma is at his mercy again. 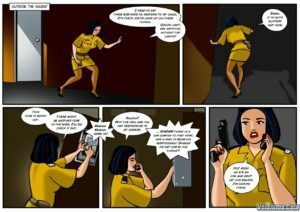 To trap the blackmailer velamma seek her police friend shazia. You can see that how both of them trap him but in that between what happen and what method they are used. You can read all of that in the below episode.